Featuring classic and not-so-classic SWBC, BCB, and UTE QSLs from the 1960s-2000+s! 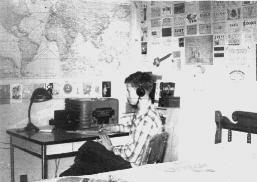 This site has images of numerous QSL cards from non-amateur short wave, medium wave, and long wave stations that were popular in the 1960s to 2000s. 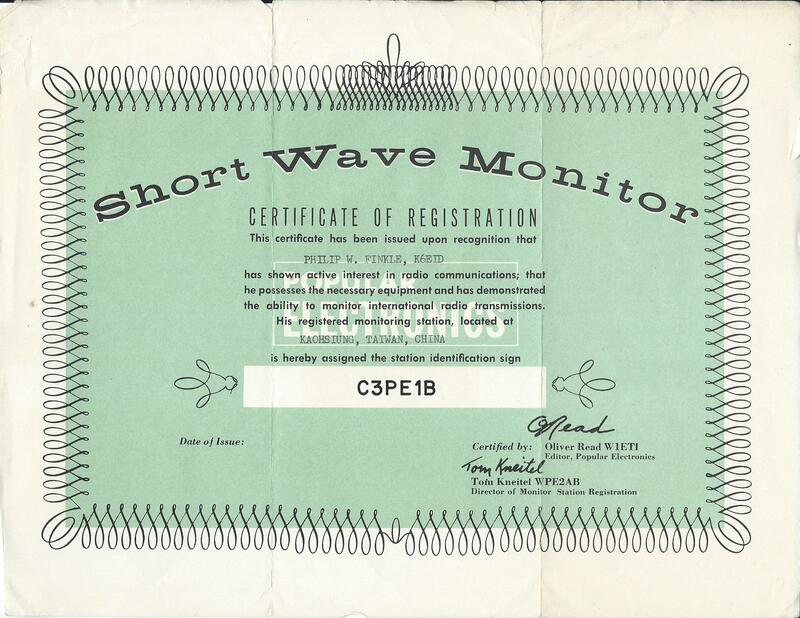 I hope you enjoy reliving a bit of radio history as represented by this collection of antique verifications and those on my Classic Short Wave Broadcast page. 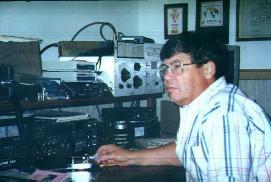 Photos of Phil Finkle, then SWL-W6 in Burbank CA , in 1954 and now K6EID in Marietta , GA in 1994. This website is hosted by Phil Finkle (K6EID) of Marietta, GA. I was a member of the ISWL, JSWC, NNRC, ADXC, and URDXC as well as a Popular Electronics monitor. My first receiver was a Silvertone floor model which was moved from our living room in 1953 when we got our first TV set. After this, I had an old Zenith table radio which was of WWII vintage. My first real communications received was a Hallicrafters S-40B that I bought on time from a Burbank CA auto repair place that had taken it in on trade. I paid for it with earnings from my paper route. My next receiver was a Hallicrafters SX-71 which served me for many years. Later I bought the epitome of receivers, a Collins 51J4 which I still have. I was editor of the West Coast Section of the URDXC bulletin in 1956. 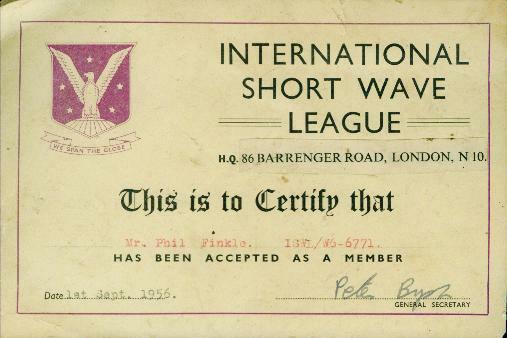 Please visit my other pages featuring Classic SWBC QSLs from the 1930s-1950s. These Utility stations were the only way to log some countries other than amateur operators. They included point-to-point communications stations, overseas telephone/telegraph stations, press agencies (usually on RTTY but some on CW), airport HF communications stations, and other sundry services. You can see that a number of them verified by filling out a typewritten form that I typed (one-fingered just as I am typing this!) on my old trusty Royal typewriter that all too obviously needed a new ribbon. I guess (to paraphrase Algore) that I invented the prepared QSL - ha ha! It is amazing that these folks would take the time to respond to these reports as their mission was really limited but, I guess, it's just human nature to see how far you can be heard! Thanks for visiting and please drop by again! Good DXing to you!!! If you have any vintage SWBC, UTE, or BCB QSLs that you would like to share with others, please forward a graphical format file, preferably in .JPG format, to the e-mail address provided below. Thanks! 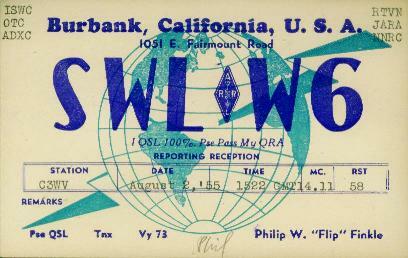 The Classic SWBC QSL Home Page: Classic QSLs!